Don’t cry for a dry skin it’s not a problem you'll always have to deal with. There are lots of daily routine that will make a big difference to the health of your skin. 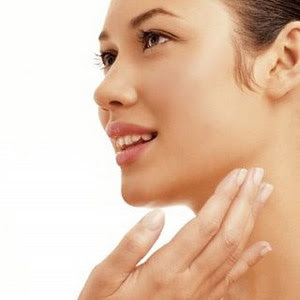 Here are 5 dry skin remedies for this winter and see how quickly your skin makes a turn around. 1. Water, make sure you check the temperature of the water. If you love hot water bath then it’s not a problem but how long you take bath is a problem. Hot water will strip the moisture and oils out of your skin, leaving it parched, dry and scaly. So don’t take hot water bath more then 15. Use warm water instead of hot water so u can stay longer in your bathroom. Hot water is going to make your hair frizzy and dry so rinse your hair in cool water. 2. Bubbles bath, oh I remember my childhood most of us grow along with bubble bath so it’s a kind of habit. But, did you know that many of the bubbles you put in your bath will leave your skin stripped of the oils your skin needs? Instead of using a bubble bath, find a soothing oatmeal or milk powder that will enhance your bath experience, and leave the oils where they belong. Also you could try is a bath oil. . A cap full of oil will leave your skin even more hydrated than before you hopped in so you may be able to skip the moisturizer. 3. Skip the Shaving MistakesYou probably have heard the age-old advice to shave in the direction of your hair growth for safe shaving. And while that's a nice thought, realistically most people shave in the opposite direction of hair growth to get the closest results. If you want the safest shave, go with your hair growth. If you just can't follow that rule, make sure you follow these shaving tips: Use a moisturizing shaving gel or cream. The $1 bottle at the drug store is likely to leave your skin dry and more susceptible to nicks.Look for a product that offers moisturizing components such as aloe and essential oils.Skip the ones that have alcohol listed in their top few ingredients.You can always use hair conditioner in a pinch for a close, nick-free shave. 4. Pat Dry, Don't Rub DryWhen you get out of the shower and grab your towel, gently pat the water off of your skin instead of rubbing your skin dry. This will save your skin the misery of "towel abuse" most men (and some women) hibitually inflict on their skin. By patting dry (or gently rubbing), your skin will be able to retain more of the moisture you're going to seal in with our next step: body moisturizer. 5. Never Ever Skip the MoisturizerThe very most important step to remember is to moisturize every single time you get out of the shower or bath. It is never OK to skip, so find a favorite lotion, butter or oil and keep it in your bathroom. When you skin has been dried off, it's important to seal in the moisture from the shower, and the quicker you do this after your shower, the better your skin will look and feel. And if you moisturizer of choice is a body oil, it's actually best to apply it to damp skin. Make sure you are careful for drops that might spill, oil will make your tub or floor very slippery.